Every year, the National Space Society (NSS) works with the NASA Ames Research Center to conduct a student competition in which teams from around the world design future orbital space settlements that will house thousands of people. This year the contest received more than 1,500 submissions from an estimated 6,000 students. The Grand Prize for the 2017 Space Settlement Contest went to a small team of two students (grade 10), Shashwat Goel and Ankita Phulia from New Delhi, India. Their winning design was called Anastasi. 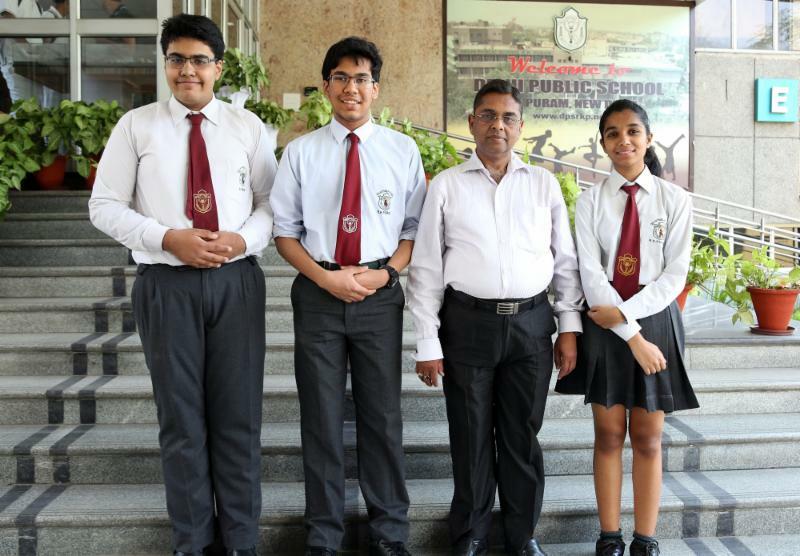 These students were mentored by student mentor Aditya Sengupta and teacher Anil Kumar Verma of Delhi Public School R.K. Puram. One of two grand prize students along with hundreds of other contest-winning students and teachers from the United States and countries across the globe will converge in St. Louis this month for the National Space Society’s 36th annual International Space Development Conference® (ISDC®) to celebrate and engage people in the goal of space settlement. They will present their projects to conference attendees. The event is set for May 24-29, 2017 at the St. Louis Union Station Hotel. Anastasi is an underwater settlement, a low cost simulation of artificial habitats in outer space. It will provide insights on the conditions of early orbital space settlements as well as serve as a training facility for the early inhabitants of these. Anastasi will be a profitable venture proving the commercial viability of colonizing unexplored territories. It will be located in the Dead Sea and will have immense benefits for the region as it aims to desalinate enclosed areas of the sea and introduce marine life that could not survive earlier. “The NASA Ames Contest has not only developed an interest towards aerospace, it has motivated students to come up with creative concepts and has helped build a temperament towards research at an early age,” said Teacher-In-Charge Anil Kumar Verma. “It provides the students a great platform to gain knowledge and getting their work recognized by NASA encourages them to work hard,” he said. “This has been my third year in the competition and it feels great that a team I mentored has won the Grand Prize,” said Aditya Sengupta, the student mentor for the project. “I came up with the idea of how the oceans were quite similar to space and proposed this to Shashwat and Ankita as a side-research project. It was initially not intended to be submitted to the NASA Ames Contest but because the research came out quite well, they decided to submit it to Ames even though it was a ‘Space Settlement Design Competition.’ It was very exciting to see the students working so hard on a very abstract and challenging concept as both were well-versed with Space Settlement Design but Underwater Settlement Design forced them to step out of their comfort zone,” he said.